164 pages | 83 B/W Illus. 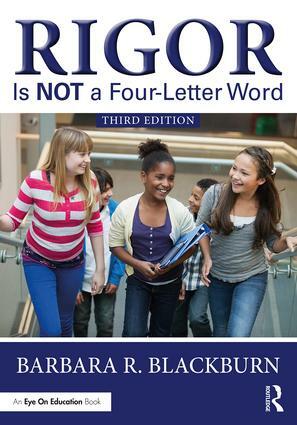 Barbara R. Blackburn has taught early childhood, elementary, middle, and high school students and has served as an educational consultant for three publishing companies. In addition to speaking at state and national conferences, she also regularly presents workshops for teachers and administrators in elementary, middle, and high schools. She is the author of numerous bestselling books on rigor and motivation.